Good news! 😀 You can now relax because your search for a good external hard drive for Xbox One is now over. After carefully testing 35+ external HDDs for their performance and durability, we have found out the 5 best external hard drives for Xbox One to expand your game storage at a price that won’t hurt your pockets. Among all the hard drives we tested, the best external hard drive for Xbox One is the Seagate Game Drive which offers 4TB storage space, great speed and comes at an affordable cost. Xbox One comes with a in-built storage of either 500GB or 1TB which at first seems enough but as you get sucked in to the world of Xbox games, even the 1TB space becomes too less. And, that when the external hard drives for Xbox One comes into the picture. You have rightly decided to expand your Xbox one storage because not only you get extra storage space for games but also the games installed on the external hard drives load faster and snappier to an extent. Also, with all your favorite games right there in your backpack, you can simply carry them to your friends and play them on any Xbox One console! Although you’ll need to sign in with your registered Xbox Id for the console to recognize your drive. But before you go on and buy an external hard drive for your Xbox One, you need to keep a few things in your mind. Firstly, Xbox One is only compatible with USB 3.0 based external HDDs. Though most of the newer portable drives come with USB 3.0 connection, some older and cheaper models may come with USB 2.0 port that would not work with your Xbox One. Secondly, You must understand that you need to format the drive before using it with your Xbox and once its set up correctly, you can install your favorite Xbox titles directly into your external drive. So, without further ado, here are my top 5 recommended external hard drives for your Xbox One console. All the external HDDs that I have mentioned below are personally tested by me and a team of experts. In fact, I am personally using two of them – the Seagate Game Drive and the Samsung 860 Pro. While all these are great external hard drives for Xbox One, but each one excels at one or the other department like massive storage, high speed or affordability. So, you choose any one of these according to your preference. Here’s you go! When I say ‘Overall best’, I mean it. 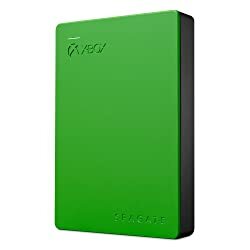 The Seagate Game Drive for Xbox is the best external hard drive considering the storage volume, price and performance. Actually, this is only officially branded external hard drive on Xbox One available in the market today. There are two variants to choose from – the Standard Edition (Green) and the Game Pass Special Edition (White). Both will look stunning sitting next to your Xbox one without a doubt. I would suggest going for a 4TB variant of this Xbox One external hard drive because at just 30 bucks more, you get twice the storage and we all know newer Xbox games are eating up tons of storage. For great speed, Seagate Game Drive uses a USB 3.0 port and you can expect a Seagate-grade performance but in a much fancy case. And let me tell you’re paying about $15-20 extra for having that super geeky embossed Xbox logo and official green case color. If performance and looks both are equally important to you, just go for Seagate Game Drive to expand your Xbox One storage. With Black Friday around the corner, you can also expect a bargain in November if you want to save a few bucks! Missing the top spot with just a whisker is the WD My Book 4TB external hard drive for Xbox One. You get everything from USB 3.0, hardware encryption along with cloud storage and backups. The only down side being the black and boxy look. The WD My Book offers storage volume from 3TB to 10TB but the 4TB variant precisely hits the sweet spot of speed, size and budget. This external hard drive for Xbox One costs less than a 100 bucks (for 4TB) and still gives you enough storage to install 100+ Xbox One games! With the inbuilt 256-bit AES encryption, all your games are secure and the WD’s backup software allows you to backup your data on a separate PC or cloud storage. It is also backward compatible with USB 2.0, so it can be used with the older Xbox 360 as well. You can buy this xbox one external hard drive with confidence as WD is giving a three-year limited warranty. 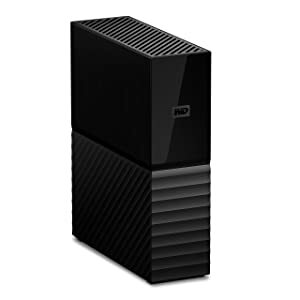 In my opinion the WD My Book 4TB is the best value for money external HDD for Xbox One. If you just hoard hundreds of Xbox Games, the Seagate Expansion 8TB is the storage beast that you’d want by your side. With this external hard disk your Xbox One will almost never run out of storage! First things first, this monster requires a separate power source to run because of the massive disk cannot be powered via USB port. So, you’ll have to use a separate AC adapter for power that comes inside the package. 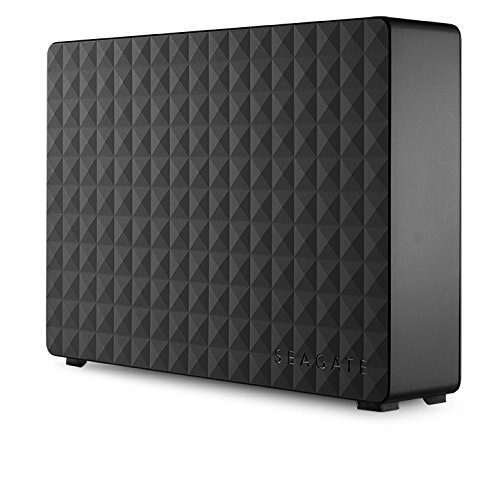 The 8TB space will allow you to install more than 200 Xbox One games on this drive. Yes, 200! That’s literally all the popular game titles – big or small – on a single drive. Apart from the massive storage, another highlight of this external hard drive for Xbox One is the SuperSpeed USB 3.0 port. It offers better speeds and lesser load time for your Xbox one games. While testing, I also got know that the xbox one power supply does not heats up much compared to other external hard drive attached. So, that’s a plus for having the Seagate Expansion 8TB external hard drive. Dont want to spend much? I can understand. 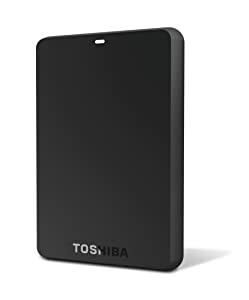 Just go with the Toshiba Canvio Basics 1TB external hard drive for Xbox One. Costing a little above 50 dollars, this portable hard drive is budget friendly, compact and easy to use. In case you are more into capturing in-game videos and not many Xbox One games. Because if you have plans to put in a whole list of Xbox games, Toshiba Canvio Basics 1TB might not work. But that does not makes it any less of a good external HDD for Xbox one. It is affordable and offers a high-speed USB 3.0 connection. Considering you are not committed to storing a huge number of games, you can go with this cheapest Xbox one hard drive. And let me remind you, the internal hard drive already has a minimum of 500GB volume so after adding this It’s worth remembering that you still have your internal hard drive, so adding a 1TB external hard drive to a 500GB Xbox One S gives you an overall capacity of 1.5GB. As I mentioned in the beginning, better load times is one of the reasons why gamers want to upgrade xbox one storage with an external hard drive. If that’s your primary reason, leave everything and buy the Samsung 1TB 860 Pro SSD. This external hard drive for Xbox One is powered by Samsung’s V-NAND technology that optimizes performance and improves read write speeds. It can give up to 560MBps speed in sequential read-write operations. That’s blazing fast! You must understand that SSDs are although much costlier than the regular external hard drives but they are the fastest storage options for gaming available till date. You can also read in detail about the solid state drives in my ultimate guide on best gaming SSDs. Coming back to the Samsung 860 Pro, while the test runs, the initial game load time was surprisingly reduced by 6-10 seconds and next level load took just 4 seconds. 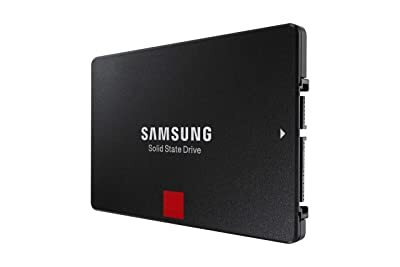 So, if you are looking for the fastest external hard drive for Xbox One, the Samsung 860 Pro is my top recommendation which will cost you almost 300 bucks. And, if you have a good budget spend, Samsung offers 512GB to 4TB variants as well. You can choose any of the external hard drives I've mentioned in this post according to your preference. Now, the next step is to use it with your Xbox One. The process isn't that difficult but it's not as easy as simple plug n play. So, to help you with that, here's an easy tutorial on how to use external hard drive for Xbox One. 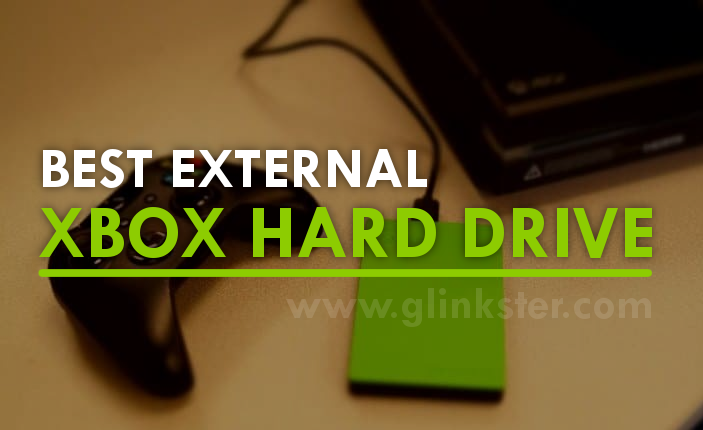 I hope this post has helped you to find a good external hard drive for Xbox One. If you still have any questions or doubts, feel free to ask them in the comments sections below and I will answer them individually. Did I miss something? Drop your suggestions in the comments too.